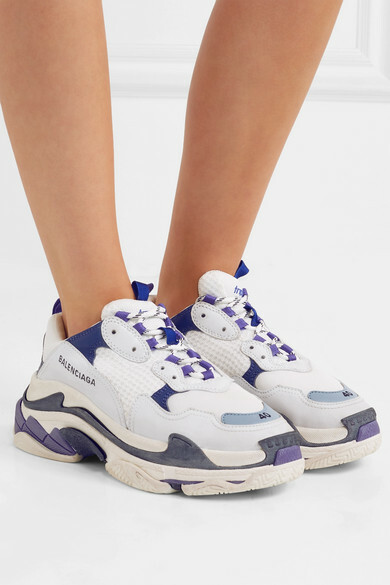 Balenciaga has helmed the move toward dad sneakers since it released the 'Triple S' style in 2017. 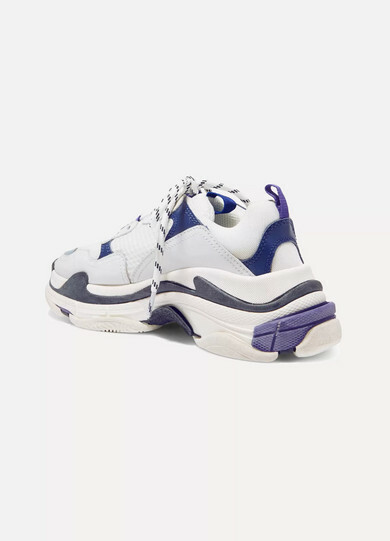 Another iteration that's sure to sell out, this pair is made from panels of mesh, leather and nubuck and set atop a signature triple-stacked sole. 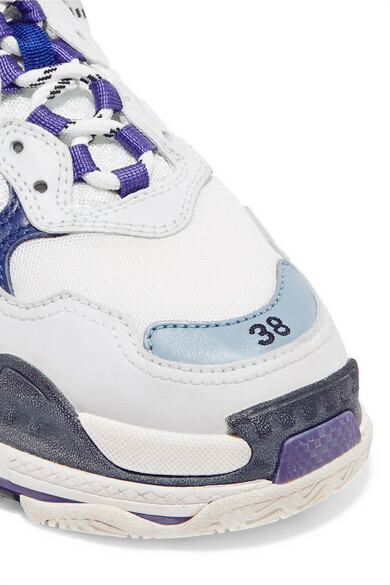 Wear them with ankle socks to balance the chunky, exaggerated shape. 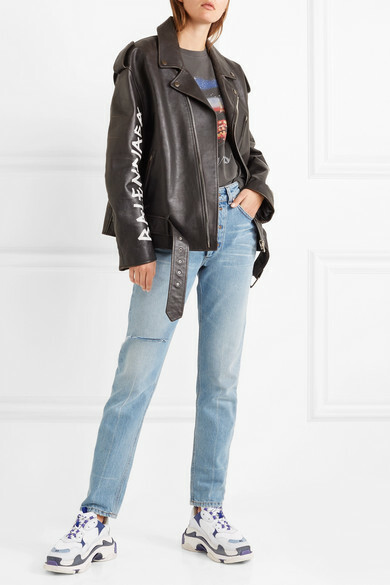 Shown here with: Balenciaga Jeans, Balenciaga T-shirt, Balenciaga Biker Jacket, Balenciaga Tote.